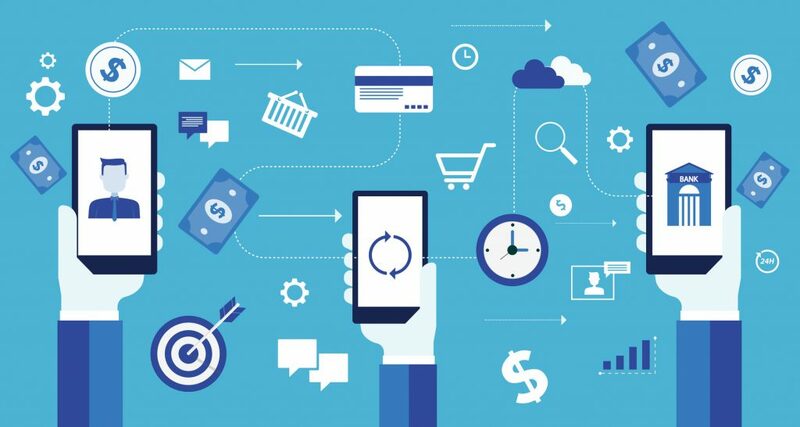 Alternative payment methods such as mobile and digital wallets are steadily gaining ground over more traditional payment methods such as cards, bank transfers and cash in the Asia-Pacific (APAC) region, whereas in developed markets like the US and Europe, cards still dominate the e-commerce market, reveals new research. An analysis of the GlobalData’s 2018 Consumer Payments Insight Survey reveals that alternative payments account for 51% of total e-commerce sales in APAC, while in Americas and Europe payment cards dominate with a share of 53% and 49%, respectively. On the other hand, in developed markets like the US and Europe, the majority of consumers have long had access to payment cards. Moreover, reward schemes and high merchant acceptance makes them the preferred payment tool for customers. As a result, card payments account for half of e-commerce payments in these regions – although this is slowly changing as alternative payment tools become more popular. 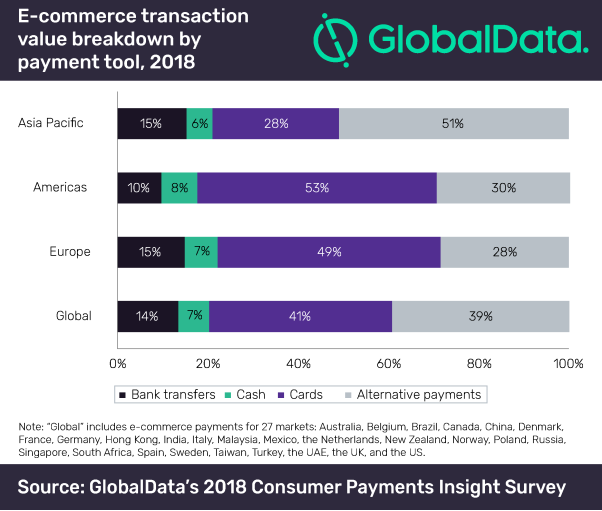 Globally, with a 41% share, payment cards remained the most popular payment method for e-commerce purchases in 2018. Alternative payments made their mark in the global e-commerce market with a 39% share. Cash, which remains popular for in-store payments, accounted for just 7%. The survey further reveals that APAC continues to perform strongly, accounting for 47% of the global e-commerce sales in 2018, followed by the Americas with 31% and Europe with 22%. Although Asia leads in terms of transactions, e-commerce spend per capita in the region is currently just under $500, less than half the spend in Europe ($1,044) and around a quarter of the average spend in the Americas ($1,962).